Foreword by Michael D. Higgins T.D. Dr Flynn covers all of the above questions and more in his new book The Blame Game. A must-read for anyone interested in environmental issues in Ireland. Ireland’s record in the field of environmental protection is one of the worst in Europe, and this book explores the reasons why. Dr Flynn covers all of the above questions and more in his new book The Blame Game. A must-read for anyone interested in environmental issues in Ireland. Ireland’s record in the field of environmental protection is one of the worst in Europe, and this book explores the reasons why. It examines the evolution of Irish environmental policy over the so-called ‘Celtic Tiger’ years of Ireland’s economic boom while looking to the future as well. 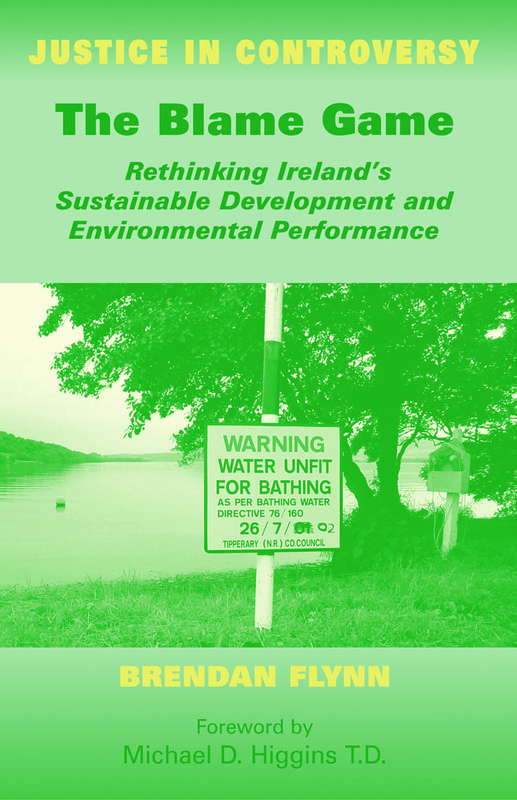 It considers why Ireland’s environmental performance has been so lacklustre during this period, and what scope exists for improvement. The emphasis is placed primarily on institutional aspects of Irish environmental policy. In particular, this book offers a strong critique of the current Irish style of reaching environmental decisions, an excessive dependence on legal instruments, and a weak Irish local government system. The author further argues that Ireland has developed an institutional style of policy-making that urgently needs reform. He suggest a number of discreet but related problems that need to be understood and addressed. These include an excessive adversarial style of interaction between environmentalists, the Irish state, and business – the ‘blame game’ described in the title. Also fatal, is a complacency among the Irish policy elite, who have chosen to downplay environmental problems and continue to think of environmental policy as merely about corrective regulation, rather than adopting the wider and more ambitious vision of sustainable development. Individual chapters cover a range of topics, and the book will appeal to readers interested in comparative environmental policy and politics, the role of institutions in environmental policy-making, or indeed anyone keen to understand the post ‘Celtic Tiger’ politics and society of an Ireland in transition. Dr. Brendan Flynn is a lecturer at the Department of Political Science and Sociology, NUI Galway. His primary area of research is concerned with Irish and EU environmental policy and politics.